Follow Danica on her sustainable journey. From her stay in Vietnam to her return to Melbourne, Danica is out and about exploring sustainable options for us all. If you would like to share your sustainable journey with our greater Biome community, go to the Green Living page and contact Tracey to learn more. Biome – First of all, Biome! Upon releasing the part 1 of my journey on Biome’s blog, I purchased a bamboo toothbrush, a green clay face mask, organic lip balm, organic couscous, and a Superfoodie bar from Biome. After opening up the delivered package and pulling out these products, I instantly felt good and was excited to try them. I enjoyed the green clay face mask so much that my friends and I decided to have a spa session together where we all smothered on green clay. Knowing that it is natural and chemical free made us feel comfortable putting it on our skin and renewed afterwards. 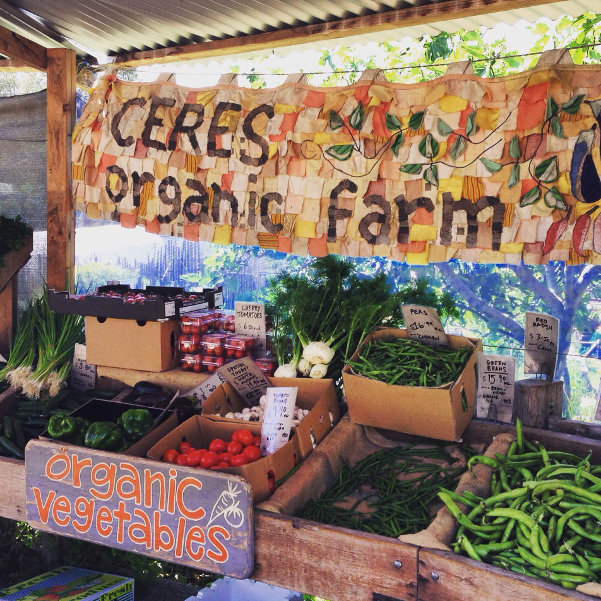 CERES – While biking along Merri Creek, I came across CERES; a community environment park that has a nursery, an organic market and grocery, and provides information about sustainability. There is also a free bike maintenance shed, and many other exciting community projects to explore. There are courses and events every week that aim to pull the community together to talk about sustainability. I have a feeling this will be a part of my new weekend bike ride routine. 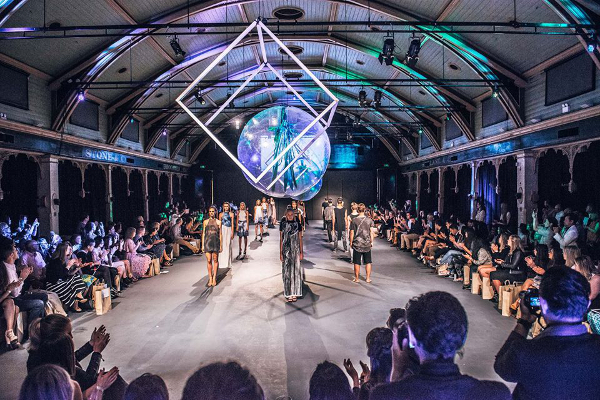 Boutiques – Melbourne is known as Australia’s fashion capital, and boy does it live up to it! There are tonnes of boutiques down every street, focused on supporting local designers, recycling vintage clothing and creating one-of-a-kind pieces. A great street to find some lovely boutiques is Brunswick Street in Fitzroy. Undress Runway – This past weekend, I had the honour to be a part of Undress Runway; a sustainable fashion show that is held in Brisbane, the Gold Coast, Sydney and Melbourne throughout the year. It features sustainable designers who are making a difference. Undress Runway proves that slow fashion can be stylish. Look for it in your city. The Big Design Market – One of many upcoming events happening over the next few months is The Big Design Market in December. There will be over 230 stallholders across homewares, textiles, fashion, furniture, lighting, stationery, lifestyle & kids product labels by both international designers and independent Australian designers. This event has been written on my calendar in ink. Meet-up- I have known about meetup.com for a little while now, but hadn’t had the chance to try it. There are loads of groups you can join that are created around particular interests. It is the perfect platform to find people to attend events with and do activities together like hiking, free fitness groups and sports teams. Yume – This app was created to allow Melbourne restaurants to sell their unsold food at a discounted price to customers. This great app reduces waste, gives customers a meal deal and restaurants don’t throw out food. I haven’t tried this out, but I definitely see it in my future. Cecconi’s – This Italian restaurant in Melbourne recycles up to 70% of all fresh and dried produce, packaging and glass in an on-site composting machine. 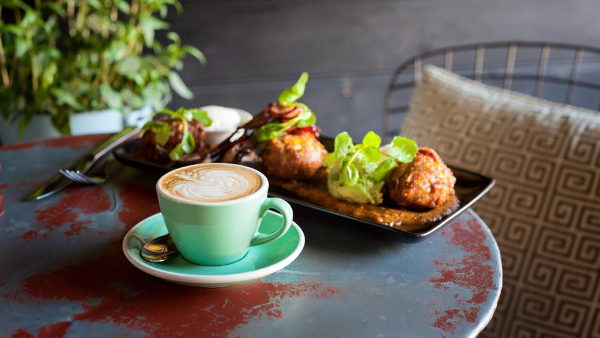 South of Johnson – This Melbourne cafe uses fresh, locally sourced and ethically produced ingredients. They have also installed 40 solar panels to generate 60% of their electricity. As more time goes on here in Australia, I have realised that it is a lot easier than most people think to look for better alternatives. If you have any events, places or tools you’d like to recommend, I’d love to hear! Please comment below.